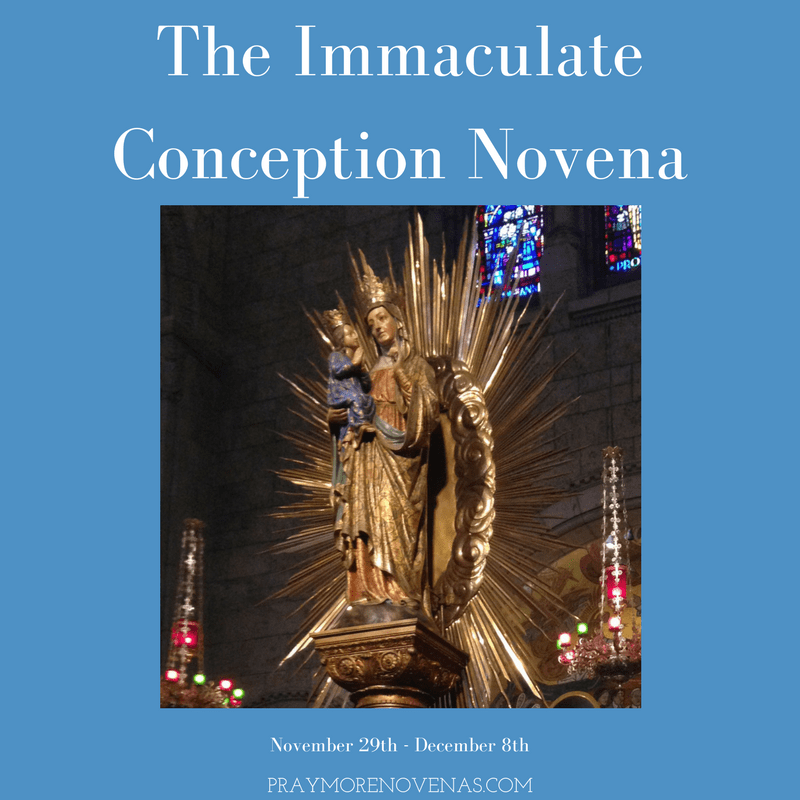 Here’s Day 6 of The Immaculate Conception Novena! Holy Mary Mother of God pray for my nephew to return to the Catholic Faith/Church. Dear Blessed Mary, please intercede with your son Jesus for the physical healing of my wife Dee from her cancer. Holy Mother, please pray for the healing of my mind and body. Thank you for your intercession to your Son. DEAR BLESSED MOTHER IN JESUS NAME PLEASE HELP US MIRACULOUSLY GET THE FUNDS WE NEED TO FINISH AND CLOSE UP THE WORK PERMANENTLY WITHOUT ANY DANGER OR RISK TO ANYONES HEALTH OR MEMORY PLEASE BRING GODLY FINANCIAL ANGELS TO DONATE TO OUR CAMPAIGN AT GOFUNDME AND WITH OUR FINANCIAL GOAL WE NEED EFFORTLESSLY. PLEASE HELP US AS ANGIE AND RIMPY ARE STRESED AND NEED GUIDANCE AND IMMEDIATE FINANCIAL HELP. HAVE MERCY ON ALL OF THEM IN JESUS NAME WE PRAY AND BELIEVE THAT THIS PRAYER IS ANSWERED. WE LOVE AND TRUST YOU. THANK YOU, AMEN! Through the intercession of our Blessed Mother, please bless My daughter, son-in-law and grandchildren, esp now while he is away. Bless my son with his interviews for residency. Bless me and help me at work to deal with a toxic boss. Help me to figure out how to complete this difficult assignment and minimize the stress. Help me not to get resentful esp about the salary. Keep my attitude positive and grateful. Dear Immaculate Mary and Divine Jesus, please heal my family and I, Spiritually, mentally, physically and emotionally. Please heal us of sciatica, allergies, asthma, heart disease, diabetes, anxiety, depression and fibromyalgia. Thank you Mary and Jesus for all of our blessings. Help us to continue to follow your teachings and obey your commandments. Dear Mother, I pray that my husband has a successful surgery, one without complications or pain, and a speedy recovery. For a breakthrough in the ALS community. Healing for Mark, Linda Sr, Linda Jr. Bob, Jim Health issues. For my very special intention. My children and grandchildren. Thank you Dear Mother. Please pray for my job, finances, healing and balance in my relationship with my husband. Please help me to overcome the challenges at work and to sustain this job specially that today’s meetings and outcomes go well. I ask you to please help my kids stay focused and successful at school. Lastly I ask you to please heal my mom and daughter and from their ailments and give them the strength to have a dignified life. Holy Mary Mother of God, pray for my nephew, LD and his new wife, CD to return to the Catholic Church, (At least pray their hearts will be touch to at least attend Mass for our Dear Savior’s Birth.) Pray they will be healthy, safe, have a strong and holy marriage growing in love and faith every day. Pray their future children will be healthy, normal, strong and and happy with Cassie’s pregnancies being safe, and deliveries easy and uneventful. Pray oh Holy Mary Mother of God, for my friend, Gee, who is 104 that here death will be peaceful, without fear or struggle. Lord I place my financial needs into your hands. I pray for financial deliverance today. I pray for money to finance my son tuition fees and legal matter. Immaculate Mary , please intercede for my boys MB and PB and my grandchildren. You know my intentions, you know my struggles with my sons. Please help with my anxiety, panic attacks and my depression. Also help my friends with their legal matter. I beg you in the name of your son Jesus Christ Our Lord and Savior. Amen. Amen.